Pictured from left is Cynthia Clegg, Jill Bulter and Sara MacSorley. Sara MacSorley, director of the Green Street Teaching and Learning Center, was invited to be a guest on iCRV radio’s “Feel Good Friday” segment in mid November. “Feel Good Friday” celebrates “good people doing good work” in the Connecticut River Valley. MacSorley was joined by the Director of the Community Foundation of Middlesex County, Cynthia Clegg, and local artist Jill Bulter. Bulter got connected to the Community Foundation through their Fund for Girls and ended up creating her own fund, the York Butler Fund, to support programs for kids that used the arts. Two years ago, Green Street TLC received the first ever York Butler Fund grant to support scholarships for the kids taking arts classes in the Discovery AfterSchool program. 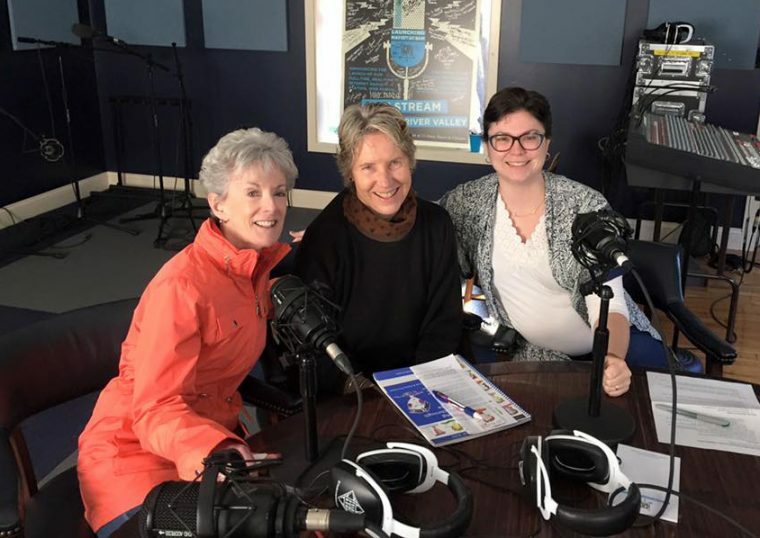 The radio program focused on the value of the arts, the importance of community engagement, and the power of making connections between organizations, programs and people. Connections brought MacSorley, Clegg and Bulter together and in the end, it helped support children in Middletown.